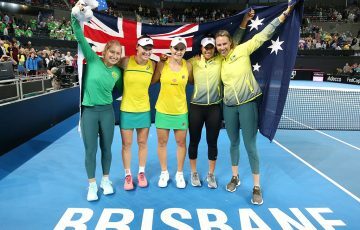 Barty's Australian summer is gathering steam after she moved into her first home WTA quarterfinal with a straight sets win over Ellen Perez at Homebush late on Tuesday night. 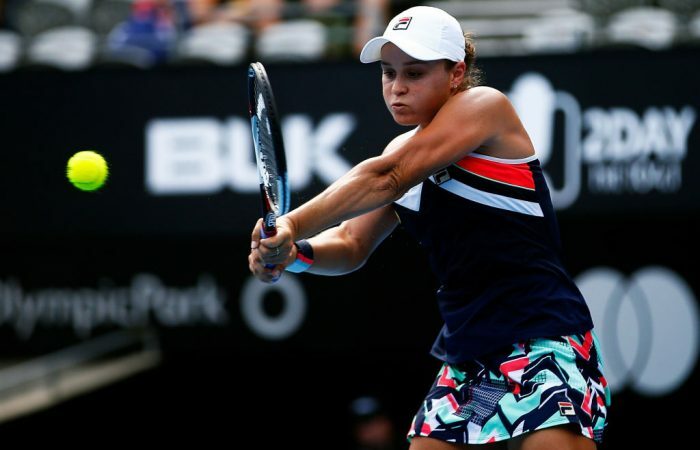 The clock had almost struck 12 after her latest Sydney International win, but Ashleigh Barty insists there was no better time to get more reps in than under the midnight sky. 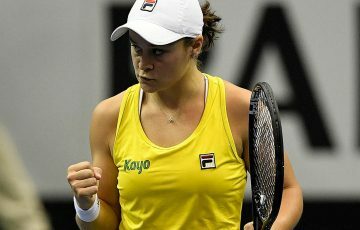 Barty’s Australian summer is gathering steam after she moved into her first home WTA quarterfinal with a straight sets win over Ellen Perez at Homebush late on Tuesday night. The world No. 19 will meet Barbora Strycova on Wednesday for a spot in the final four, but only after overcoming some serving kinks against compatriot Perez. 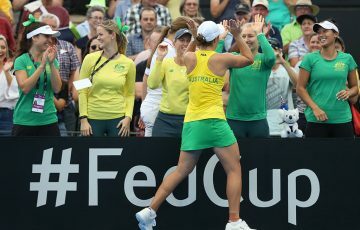 Barty double-faulted five times in the first set against the Australian qualifier before eventually finding her groove in the second and emerging with a comprehensive win. “I think for me the polish isn’t quite there still, but, you know, we were able to get through that first set,” Barty said after the match. “I felt probably all but one service game I actually played all right and was in every single game. 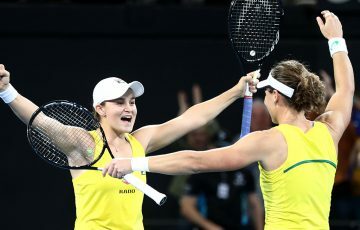 However despite an evening thunderstorm delaying her match two hours – resulting in the near-midnight finish – Barty was intent on immediately addressing her serving issues. Instead of heading straight for recovery, the 21-year-old went back out on showcourt one at Homebush to put in some extra work. “After some matches we just go out and work on a few things. 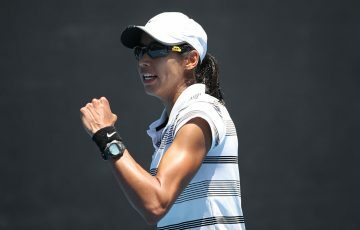 I just wanted to work on my rhythm and just hit my spots a little bit more in serve,” she said. Barty said it was the perfect chance to rectify her shortcomings before meeting world No.21 Strycova, who lost to the Ipswich product in Birmingham last year. “I think there’s no better opportunity. The courts are free,” Barty said. “Obviously I had just come off the court. I was warm and ready. Instead of me worrying about it overnight, I can go home now and know that I’ve done my work. 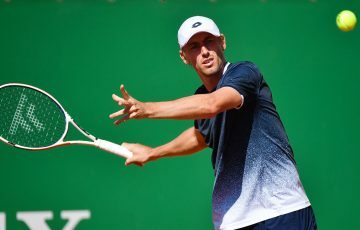 Other Australians in action on Wednesday include Alex de Minaur’s second-round match against Damir Dzumhur and John Millman against second-seed Gilles Muller. Samantha Stosur also meets Daria Gavrilova in an all-Australian second-round match.